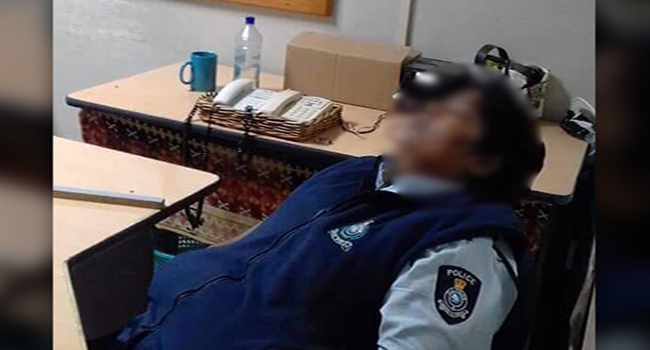 Police Commissioner Brigadier General Sitiveni Qiliho has confirmed a female police officer has been interdicted without pay pending investigation for sleeping while on duty. This comes after a picture of an officer taking a nap in her uniform while on duty was circulated on social media last week. The Police Commissioner is reminding officers that this is unacceptable. Last week, Brigadier General Qiliho interdicted five regular officers and suspended seven Special Constables without pay immediately for their involvement in the escape of five remand prisoners. On the same day, he dismissed another Special Constable from the Force for assisting a prisoner to escape from police custody from the CWM hospital in Suva in September. Brigadier General Qiliho reiterates there is no room for officers being involved in criminal activity as anyone found will face the full brunt of the law.